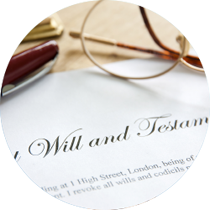 The will is a critical estate planning document. This is the foundation upon which you begin to protect your most precious assets, your kids. Not only does your will name the person(s) who will raise and care for your kids if you and your spouse pass away, but it also addresses other important issues, like who will carry out your wishes and who you want to inherit your assets. It is essential to find an experienced wills and trusts attorney who will listen to your concerns and what you are trying to accomplish. Before turning 18, more than 1 in 20 kids lose a parent. By age 20, more than 15% of kids have had at least 1 parent pass away. Each year 250,000 kids enter the foster care system. Did you know that if you pass away without having a will, a judge will determine who will raise your kids? A judge that does not know you, your values, nor what is important to you, will be making these critical decisions! The court will decide who receives your property and exactly how everything will be administered. Were you also aware that 70% of people in the US do not have a will? Statistics tell us that most people simply do not think about their will preparation. While death may not be a pleasant thought, it is inevitable. Anyone who has dependents or some assets should definitely consider having their will drafted as soon as possible. If you think hiring a professional is expensive, you should try hiring an amateur. Are you willing to roll the dice with your children? Of course, you have many options these days for having a will drafted. It is even possible to grab a quick fill in the blank Maryland will preparation form on the internet. Of course, such a form will not work for everyone. First of all, if you are even considering this option, pay close attention to the disclaimers. You will see that most clearly (or not so clearly) state they are not acting as your attorney and are NOT a substitute for one. If you read carefully, you will also see that they cannot apply the law to your specific situation. This means that they refuse to guarantee that your plan will work for your family where you live. It means that your will won’t be customized or unique to you. It will just look like everyone else’s plan. The problem with this is that your circumstances can have a huge impact on what provisions and features you need in your will. You may need a certain type of language that would be a disaster for another person with different goals and circumstances. The bottom line is that you want an attorney who has knowledge and experience. We know what causes plans to fail and how to make sure your plan works when your family needs it most. More importantly, you need an attorney that can understand and express your wishes, not just fill in a form. We are much more capable to analyze your unique situation, explain the impacts of all your choices, options and decisions. We can advise you on the best ways to accomplish your goals and tailor your plan to address those unique estate planning needs. We will never pressure you into choosing options which you do not want or need. You will decide exactly who gets the assets that you have worked your entire life to build. At the end of the day, you will leave the Carducci Law Offices with the peace of mind to know that you are fully prepared for the future and your most precious assets are protected. Do not be among the 70% of adults that do not have a will, become one of the 30% that does by scheduling your appointment today. Email us at Anthony@carduccilawoffices.com or call us at 240-235-5070.